Updated DJI, the Chinese drone manufacturer, has been trying to win the trust of regulators with its new Aeroscope product. Yet the product itself falls short of its stated aim. 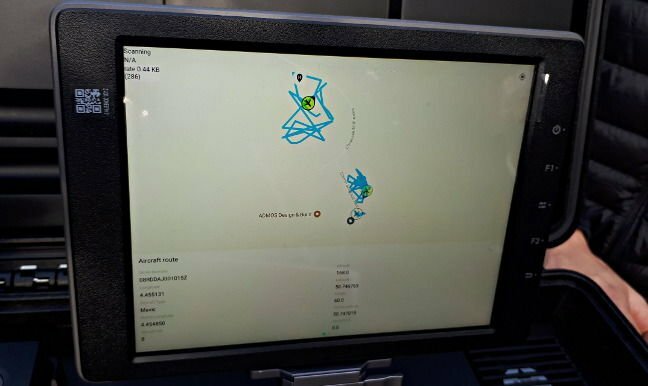 Aeroscope, as we reported from Brussels a few weeks ago, is DJI's product for tracking its drones in flight, along with displaying the controlling operator's location. It is a tracking station that locates all drones within a 5km radius and displays them on a portable screen. The tracking solution came about as part of DJI's efforts to stave off the dead hand of possibly harmful regulation, along with attempts to show that it is happy to help regulate the drone world itself. It is no surprise that regulators in the UK, EU and America are all setting their sights on the world's pre-eminent maker of small drones. As company veep Brendan Schulman told us: "Authorities [said to DJI] we need to do something about the hundreds of thousands of drones in use today." Yet the Aeroscope product itself falls short of its stated aims. At the Q&A event in Brussels earlier this month, The Register asked DJI about the technical details of Aeroscope following a demonstration of the technology. 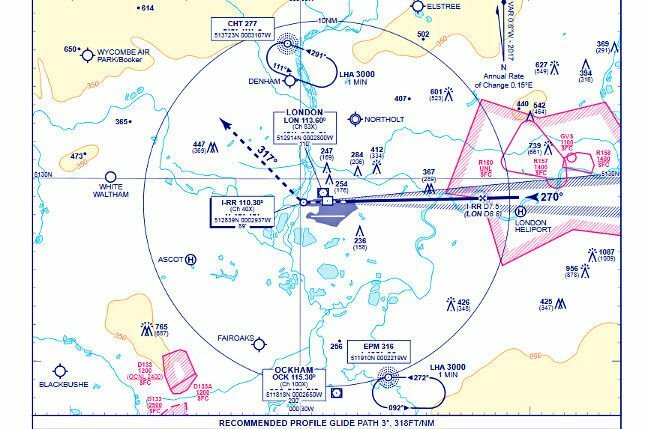 The picture above is the instrument landing chart for Heathrow’s runway 27R. The big circle around Heathrow (which is the blue blob in the middle) is a 10 nautical mile radius. The little star in the middle of the 270o blue line on the right of the chart marks the 7.5nm point from the runway threshold, which is where arriving airliners start their final descent to land from 2,500ft. Crucially, in the context of Aeroscope, 7.5nm is 13.9km. Airliners start their descent more than double the distance from Heathrow than an Aeroscope antenna positioned at the airport boundary fence can detect errant drones from. Now, bear in mind that the three-degree glideslope is a near universal standard for commercial airports (with some notable exceptions, such as London City) and you see that Aeroscope's ability to help law enforcement find misbehaving drone operators near airports is limited at best. "You can improve your radio receiver and get better range with future generations," said DJI's Schulman when we put this to him. While the Aeroscope set itself is portable, short of a blanket deployment over a huge area by multiple operators, Aeroscope is limited in its scope of protecting manned aviation from thrill-seekers looking to make cool videos of passing aircraft, which is the biggest priority for British regulators. Aeroscope works by having each drone broadcast its own unique identifier; in effect, a registration plate. While various hacker-type folk have mooted the idea of fiddling with this to frustrate efforts to identify drone pilots, Schulman and DJI managing director Michael Perry made the point that "the serial number isn't adjustable by the user" and extended the analogy to car number plates: "You can take a screwdriver to swap a plate, or you can steal one and put someone else's plate on a car. People don't do that because it's illegal." As Rob Thompson, of the Counter-UAS coalition, pointed out in a recent blog post: "The real issue here is that their entire system can be defeated by either covering the drone with aluminium foil and using rubber bands to secure it so it won't be able to connect." Thompson and a colleague were recently refused entry to a DJI policy event in Washington; a spokesman told us that DJI ran out of room at the event and so chose not to admit them. "It's our goal to solve a problem, not to make a profit [from Aeroscope]," said Schulman. "We want people to use drones for beneficial purposes but also satisfy lawmakers, policymakers, that drones are being used responsibly." Moreover, governments are more interested in capturing the masses rather than the refusenik few: "I spent the summer on the Remote Identification Committee in Washington and there's a presumption by most regulators that most people are going to be compliant and do the right thing. You can see on your screen that most of them have the right details. You can then see the one that isn't participating and that's where you'd deploy the countermeasure." "AeroScope can be configured to cover whatever range is required, simply by adding more fixed antennas that will feed their signals back to the central control point. If Heathrow or any airport desires additional coverage along a section of their airspace, they can install antennas as far as they need. But in our test deployments so far, airports have been very happy with the range they have seen just from antennae located within their boundaries." "This claim is false. AeroScope is deliberately built to transmit identification and tracking information over the existing radio command-and-control link between a drone and its controller. The only way to disrupt AeroScope transmissions is to also disrupt those command-and-control links – which would prevent the drone from taking off in the first place."